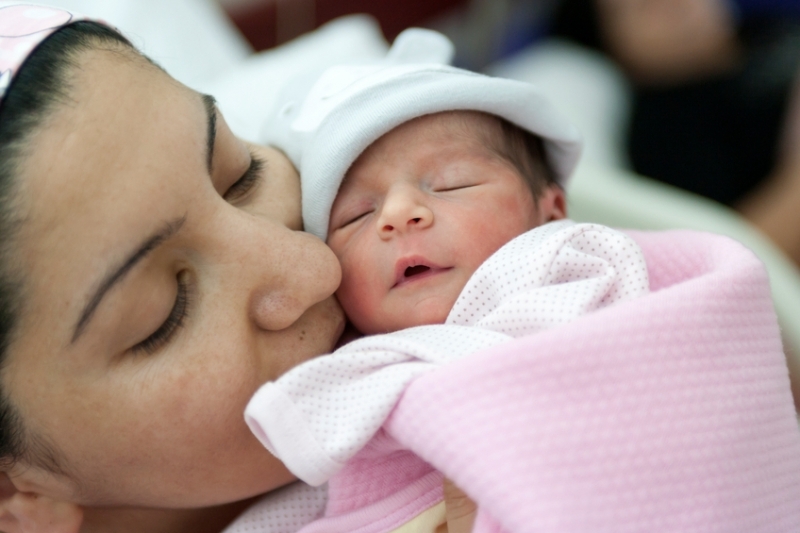 If you're a new mom, you know that taking care of your new baby often takes precedence over taking care of yourself. While this is understandable, oral health is one area that you must not neglect - both for your own sake, and that of the baby. There's no two ways about it: when you have a new baby, a lot of things that were once important parts of your day-to-day routine - clothes, makeup, and even showering, for example - become luxuries that you just don’t have a lot of time for anymore. This is to be expected, especially at first. Babies are a lot of work! You’re exhausted and overwhelmed, and so naturally some of your less urgent needs are going to fall by the wayside for a time. But while we sympathize with the fact that you're feeling overwrought, we still feel it's important to stress that even during this busy time, it's imperative that your oral health not be neglected. Keeping up with your oral hygiene is more important than ever when you’re pregnant, and after your baby is born - for you and for your baby, too. Throughout your pregnancy, your hormonal levels will fluctuate a lot, and this can result in an increased risk of gum disease. Inflamed gums that bleed easily are caused by changes in the mouth bacteria that feed on the extra hormones secreted during pregnancy. The best ways to reduce inflamed gums during pregnancy? Regular professional cleanings at your dentist's office, and a thorough and consistent at-home oral hygiene routine. It can take weeks or even months (especially if you’re breastfeeding) for your hormones to return to normal after you give birth. This means your gums are still going to be extra vulnerable during this time. Keeping mouth bacteria at a minimum is also beneficial to your new baby, who isn’t used to living with bacteria, and whose immune system is still immature. If your oral health isn’t what it should be, your mouth may be rife with bacteria that could cause problems for your child. Another important factor to consider is that, now that you’re a mom, you’re also a role model! As your child grows up, he or she will take cues from you when it comes to oral hygiene habits. If you have questions about your oral hygiene as it relates to your baby’s health, please contact Smile Town Burnaby today.